Ownership / Access: Private residence of The Queen. Notes: Leslie Castle is castle in Aberdeenshire, Scotland, the historical seat of Clan Leslie, located just to the west of Auchleven, or about 45 kilometres (28 mi) northwest of Aberdeen. The core of the building dates to the 14th century. In the late 1970s, plans started for the castle to be restored and by the end of the 1980s this was completed. 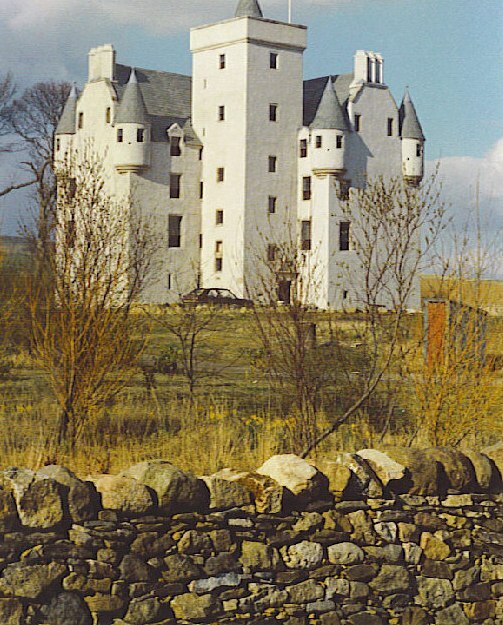 In 1995, a Leslie Clan Gathering was held at Leslie Castle. The castle was formerly a B&B, but has since changed hands and is now a private home. "Leslie Castle,". CANMORE. RCAHMS. Retrieved 2009-08-19.